"A MARVELOUS JOURNEY WORTH TAKING." 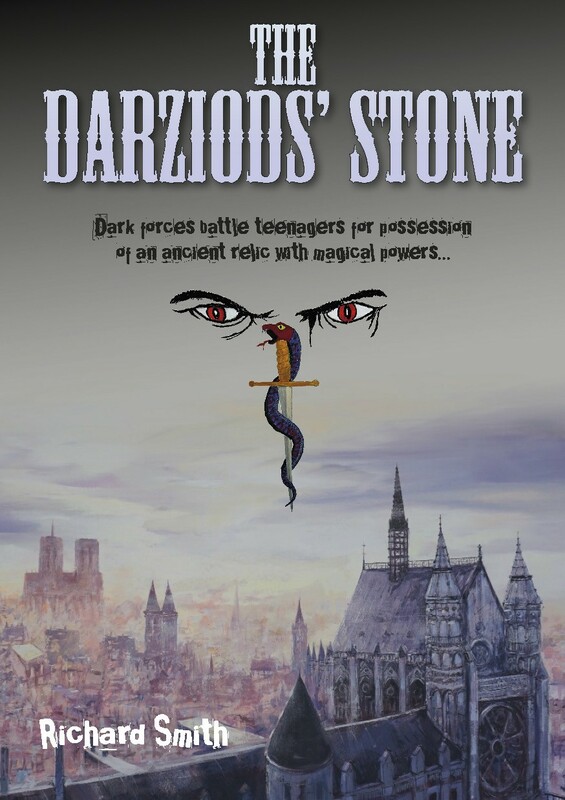 "The Darziods' Stone" by Richard Smith is not only one of the best young adventure novels I've read in some time, but it is one of the best adventure novels in general that I've read in a while." 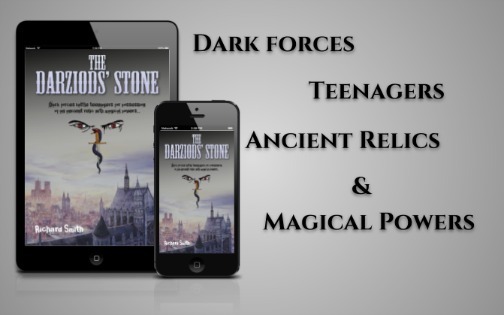 "This is an adventure that reminded me of the mystery books I used to read in high school (long ago, but not so long really) Famous Five anyone?" "This book is a wild ride of suspense and treasure hunting." Get Your Copy On Sale Today! 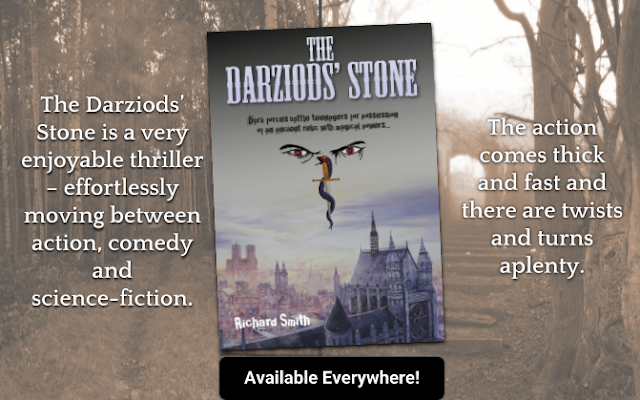 "I recommend this book to young adults and anyone who loves a good mystery and adventure with a touch of history and sci-fi.​"
Richard Smith’s motto: Never give up; it can happen. And his first book, Time Trap, is proof of that. And now. 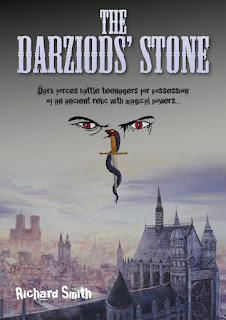 I'm pleased to reveal his new book, The Darziods' Stone, which took seven years to complete, including a couple of years of inactivity, when he struggled with the plot. It's aimed at a teenage readership, but enjoyed by a wide age range and twice the length of Time Trap. Born in London, the youngest of three children, Richard has loved writing stories since he was nine; and regularly got top marks for his essays at school – where his favorite subject was English. After leaving school, he worked in a succession of dead-end jobs. None brought him as much satisfaction as writing - which he kept up, with his mother’s constant encouragement. Richard credits his father, a taxi driver, who enjoyed writing as a hobby, for his talent with words. Researching and writing Time Trap took many years of hard work – which Richard describes as a labor of love. One of his proudest moments came when he returned to his junior school to read extracts of the story to 9-year-old pupils, who loved it. He polished up the MS, self-published in 2012, and created the Time Trap Trail for young readers to follow and convinced both the British Museum and the Museum of Childhood to stock the book. 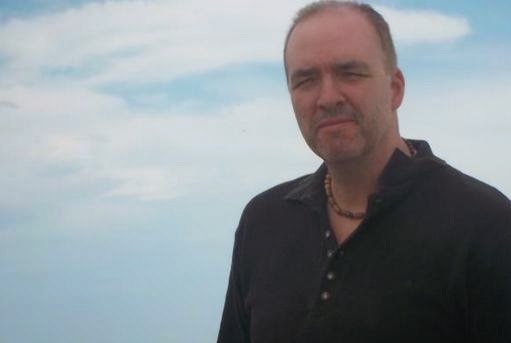 You can find this author on FB under Richard Smith & on Twitter with @RichardSmithTT or stop over to his website: http://www.timetrap.co.uk/. Before anything else, let me just say that I am a huge fan of Mer. Richard Smith. I was lucky enough to have read several books that he wrote and I couldn’t help but to be amazed with his works. It’s true that there is something special about his writing skills that will make you admire him more than ever. Aside from that, there is an e-book version of the book, which is more preferred and handy nowadays. I am encouraging everyone to buy the book to read it!